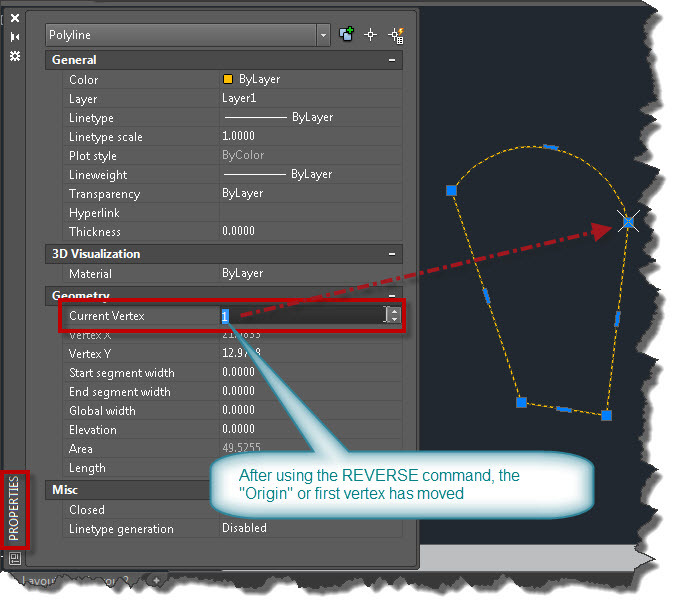 Today’s tip is more of a “head’s up” to be aware of when using the REVERSE command on a closed polyline. The Reverse command will reverse the direction of selected objects. What is reversed is the direction or the order of the way that the objects were drawn. 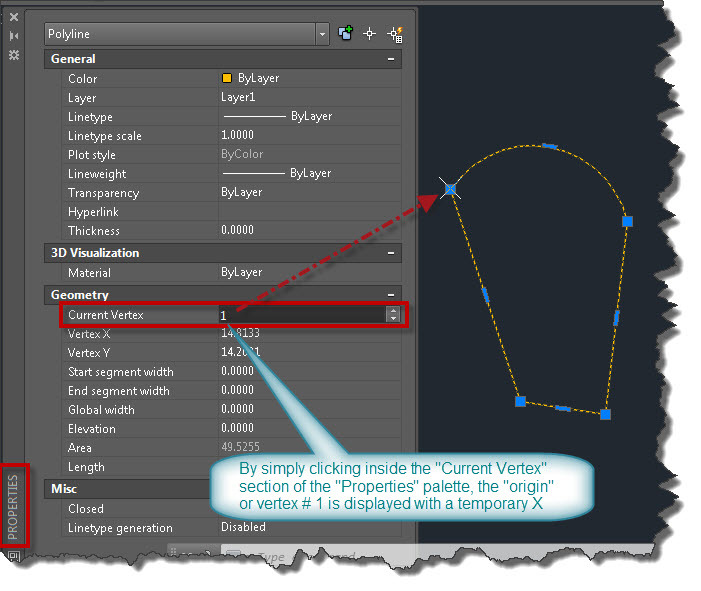 You can find the “origin” of a polyline by selecting the polyline, then right-click and select “Properties” to open the properties palette. when using the Reverse command so that the direction is changed, note that the origin changes on closed polylines. This may not be a big deal for most situations but there are instances when each vertex is included in a report and its coordinates are included in the report. And maybe the person who drew the polyline drew the polyline in the wrong direction. Hopefully, this can be corrected by using the REVERSE command. Below is the polyline as shown above and its origin after the reverse command is used on it. Notice that the origin changes. This entry was posted in Modifying, Polylines, TIPS. Bookmark the permalink.